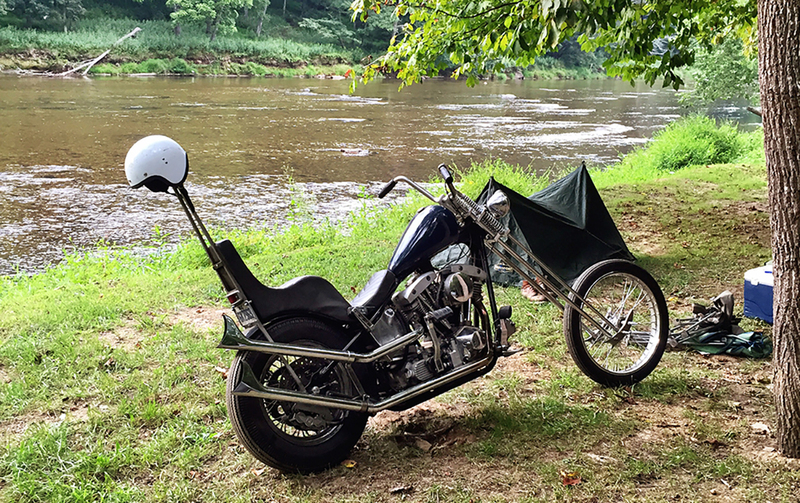 The Twin Rivers Chopper Camp Out started back in 2015 when Zac Gibbons decided to get together a group of friends for a weekend long party/camping trip up in the mountains of North Carolina. Zac hails from Mount Airy, NC, so the Appalachian Mountains are just a short ride west of his home and were naturally the best location for this event as they provide the perfect mix of great roads and minimal traffic. 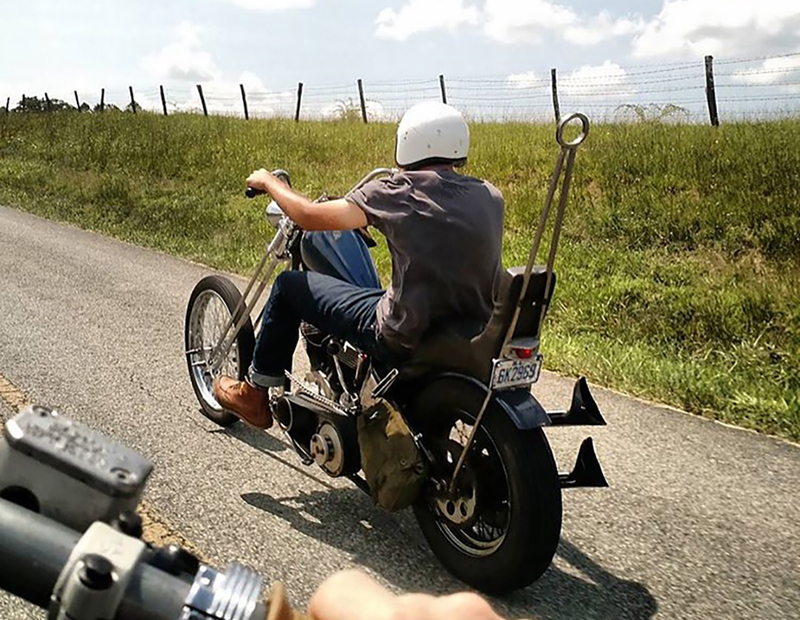 For the past 7 years, Zac has been building/riding choppers and like the name implies, this event is put on for those that prefer a chopped custom over a bone stock factory machine. 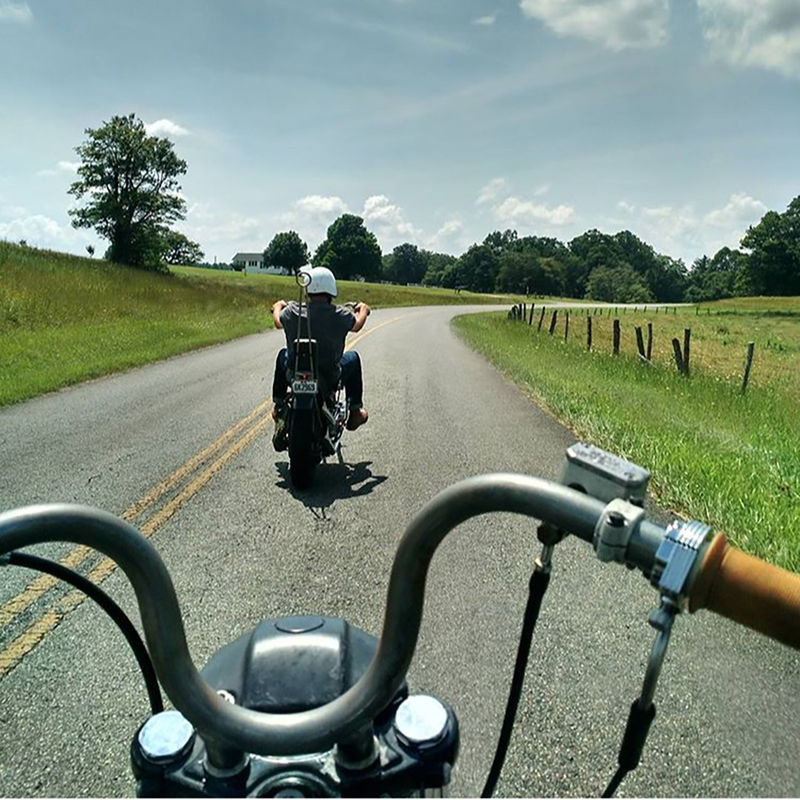 Taking place from August 18 – 20th in the small town of Crumpler, NC, the event is located right in prime riding country, with the Appalachian Mountain range spreading out in all directions. This means no matter which road you choose, you’ll be hitting some great roads. Plus, with the rest of the eastern seaboard suffering from relentless days of near 100% humidity, you’ll be glad to be riding in the cool mountain air. 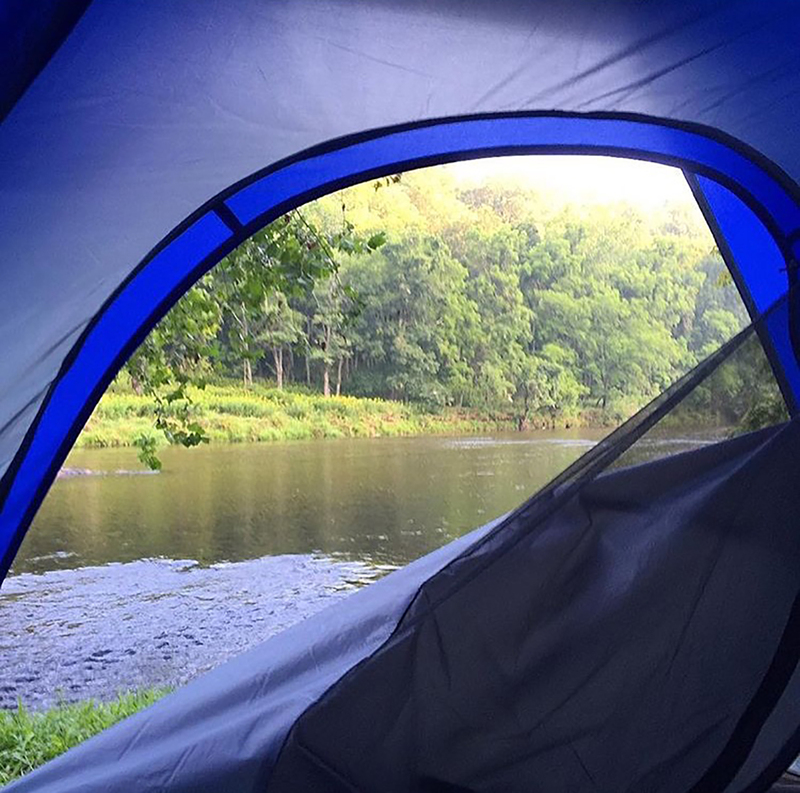 The camp out will be held at the Twin Rivers Family Campground, which is situated on a large horseshoe bend in the New River. 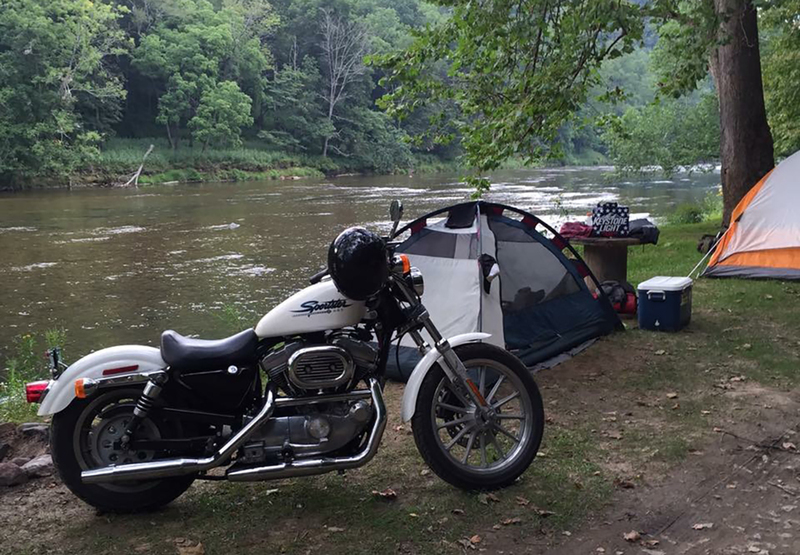 With water on three sides of the property, everyone will be camped right alongside the river, and swimming is definitely allowed, so pack some swim wear or plan to cut your riding jeans off above the knees, because you are going to want to hit the water after a day of riding. Be prepared for impromptu raft races too, and don’t forget to load your favorite inflatable in your saddlebag before leaving home. 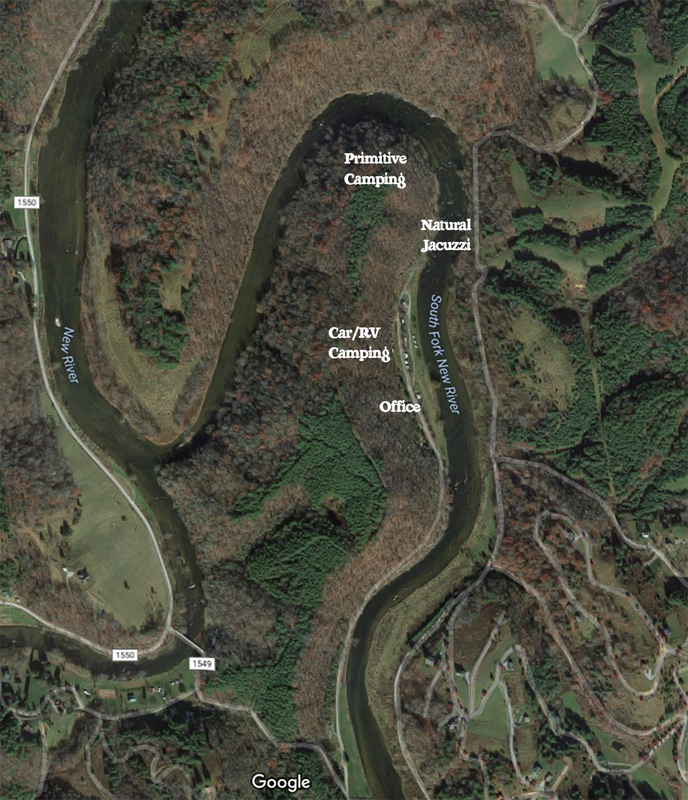 This year the entire primitive camping section is being reserved for the event, allowing for at least 200 campers before the RV spots will have to be taken over as well. For those whose hygiene requirements are more than just a daily dip in the river, the campground also has hot showers and wifi to keep you connected to the outside world. Daily rides are up to your own discretion, so when you get up in the morning you can just grab some friends and head out wherever and for however long you want. Suggested rides will be posted as well, but you are completely free to do your own thing each day. There will also be some chopper games going on in the afternoons, which you won’t want to miss as they will be bringing back some classic contests as well as some that you probably haven’t seen before. Just make sure your engine is tuned and ready, especially if you are on a kicker. To make the packing a little easier, food trucks will be stopping by the campground throughout the event, which will allow you to leave your cooking utensils at home and leave more room for that inflatable dolphin you want to ride in the river (or in your tent!). You’ll still need to bring your own beverages, but you can pick those up locally and don’t worry, Crumpler is not located in a dry county. Evenings will be spent around the bonfire, telling lies, drinking beer, and listening to the musical stylings of DG Biggins. Sponsors are already lining up and there will be plenty of cool items to raffle off each night. On that note, if you are interested in sponsoring the event, please contact Zac Gibbons about opportunities that are available. 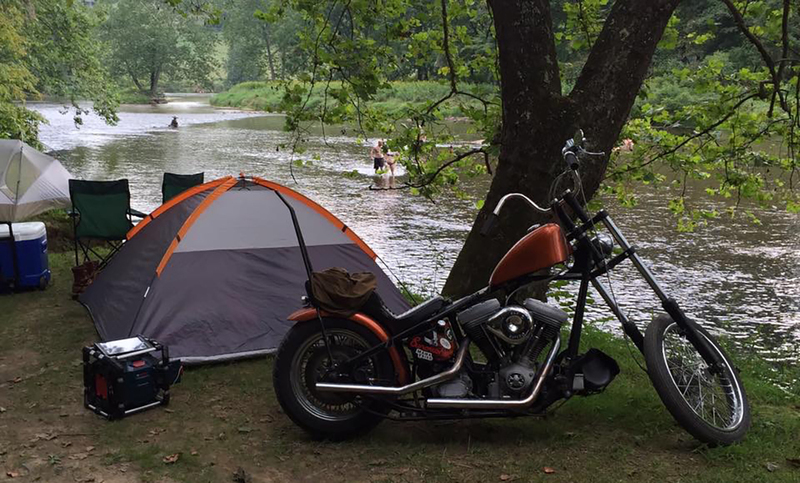 Going forward, you can stay up-to-date by following the Twin Rivers Chopper Camp Out on Instagram, listening to Riders on the Norm, or checking back at Riding Vintage. Nice. I'm moving to NC from Colorado this month. Plenty of time to plan for this one. I'll be there.